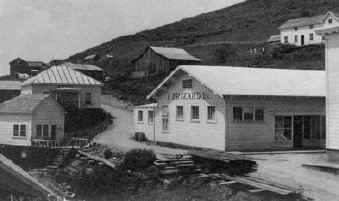 The Hupa Group lived among the Klamath River areas of Northwest California. The Hupa, Yurok, Karok, Tolowa and Wiyot Tribes make up the Hupa Group. They made use of California hazel, pine root, squaw grass, and maiden hair fern. 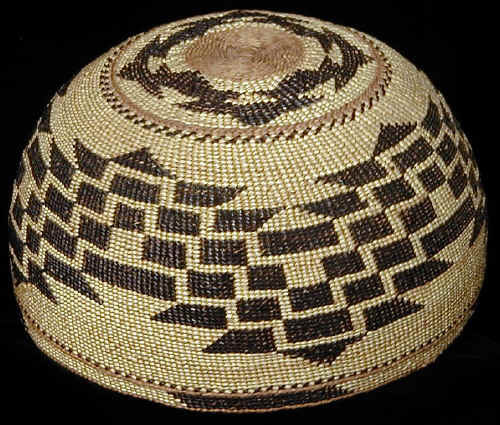 The Hupa used twining and open twining techniques with false embroidery. 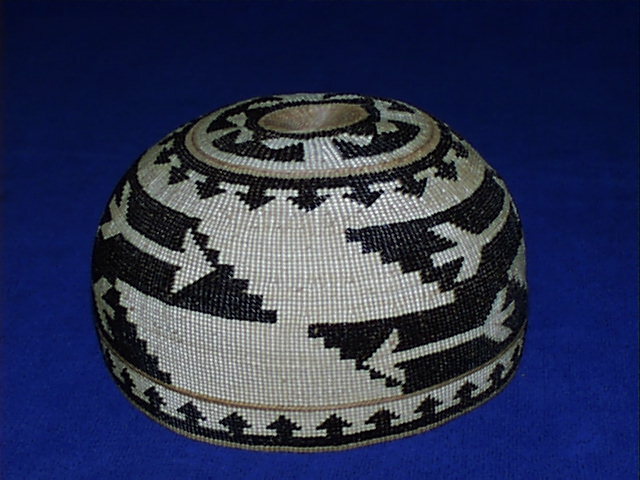 Twined Hats, trinket and storage baskets, and large burden baskets all make up the Basketry of the Hupa group. This site is dedicated to Emma Pearch who was a Karuk Dance Owner for the village of Taxasufkara (at the mouth of what is now Pearch Creek) on the Klamath River, near Orleans, California. Scientists have discovered evidence suggesting that the Karuk people have lived on the Klamath River for more than 10,000 years. Actually, the people have been there since the beginning. Lidded Gift Basket, Elizabeth Conrad Hickox, c. 1917, Private Coll. Lidded Gift Basket, Elizabeth Conrad Hickox, c. 1917-25, Priv. Coll. Lidded Gift Basket, Elizabeth Conrad Hickox, c. 1920, Private Coll. Large Lidded Gift Basket, Elizabeth Conrad Hickox, c. 1917-25 Priv.